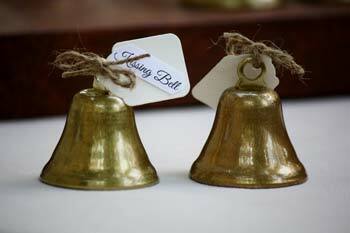 Decorative wedding bells and reception bells are a must have for your wedding! Wedding bells symbolize the joining of couples and bring good luck to newlyweds. 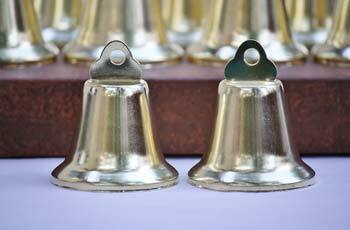 Buy a set of quality bells for decoration and for seating arrangements. Guests can ring them to celebrate and take them home for memorabilia! Wedding bells are rung to celebrate a wedding of couples. They are used in speech to allude to the likelihood of marriage between two people: they were seen everywhere together, and her friends could hear wedding bells. (oxford english dictionary 3rd edition) Wedding bells seemed certain. 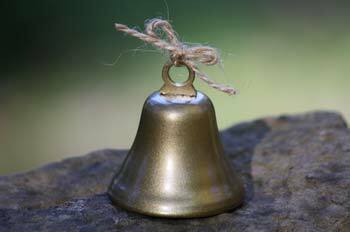 Bells are a universal symbol of marriage. 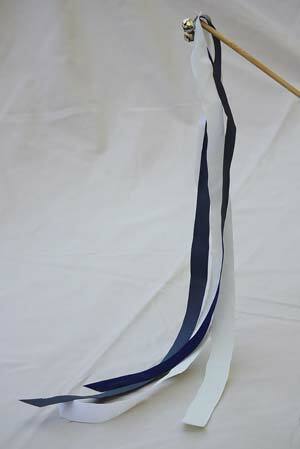 Two bells symbolize the joining of two people and are a popular wedding decoration. Ringing bells after a wedding ceremony is believed to ward off evil spirits and fend off misfortune to grant good wishes and happiness. 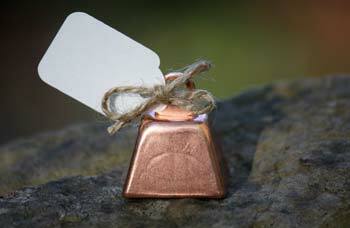 The Celtic traditions in Ireland have long been known for ringing wedding bells and giving them as gifts. Wedding wands make cheerful sounds and beautiful displays for a lifetime of good wishes and happiness! 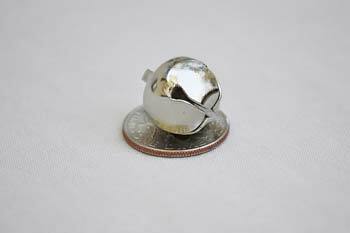 Small Bells like silver jingle bells, small wedding bells, or any craft bells. Screw eye screws into the top of wooden dowel rods. Thread ribbons through the eye screw. 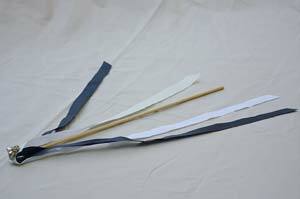 Attach one or more small bells by carefully threading together with ribbon or string. Hot glue is an option to fasten bells in place. 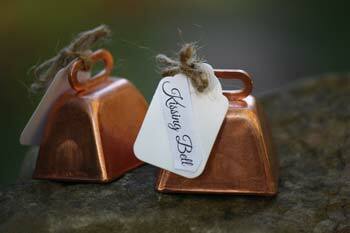 Kissing bells are perfect for seat placeholders at weddings, receptions, and dinners. 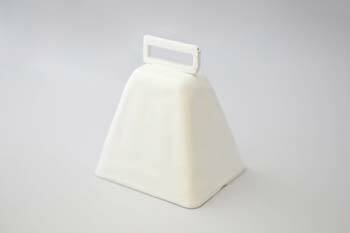 They direct guests to their seats and are a fun gift to ring aloud! 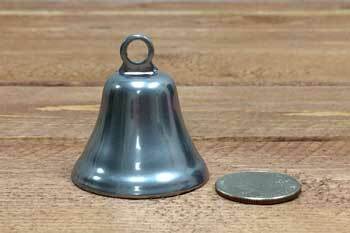 This is a very simple DIY wedding bell project. You will just need bells, ribbon or twine, and tags for names. 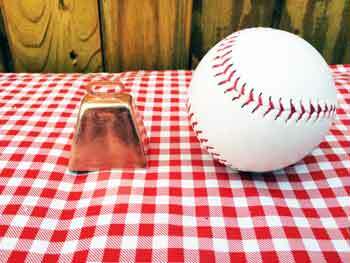 Choose a quality brass bell and garnish it with colorful ribbon or twine. 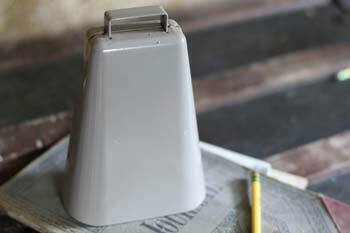 Small or medium cowbells are perfect for rustic country wedding themes. Any small bell topped with twine will ring a rustic theme. 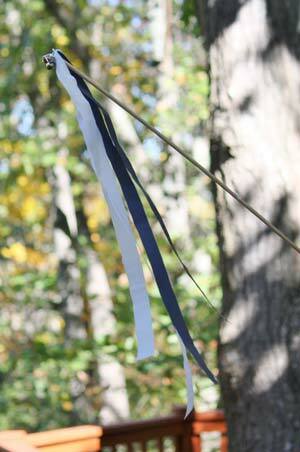 Simply write good wishes on a tag and tie it to a bell with twine or ribbon. Prompt your guests to ring their bells for toasts and applause!